The EMCEL engineering firm offers you consulting, engineering and service, particularly in the subject areas of fuel cells, hydrogen technology and electric mobility, as well as the connection to renewable energies. EMCEL supports you with the conversion of your diesel bus fleet to the appropriate electric bus technology for you. We offer customised, technology-unbiased consulting on battery and fuel cell buses. EMCEL develops feasibility studies, cost analyses and business models for your market environment. Our experience ranges from electrolysis or power-to-go systems and industrial hydrogen use via energy storage systems on the basis of hydrogen, right up to hydrogen filling stations. Publications & Documentations: EMCEL creates specialist articles and brochures, technical guidelines and documentation materials for you. We support your development projects with regard to approval, standards, certification and safety. Furthermore, we perform development work with the layout and optimisation of your systems or components. We measure the purity of your hydrogen source as a service upon request or provide you with measuring equipment. We service your battery and fuel cell buses, as well as your hydrogen and fuel systems. We have built up our range of service and maintenance activities into a modular system, which we configure individually for your requirements. We develop your ideas together with you. We look forward to meeting you. 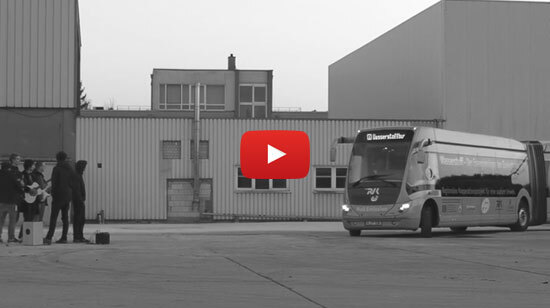 Two Van Hool A330 FC fuel cell buses operate in regular service in the Cologne regional area. EMCEL is taking care of the maintenance and service activities for the fuel cell system of these busses. 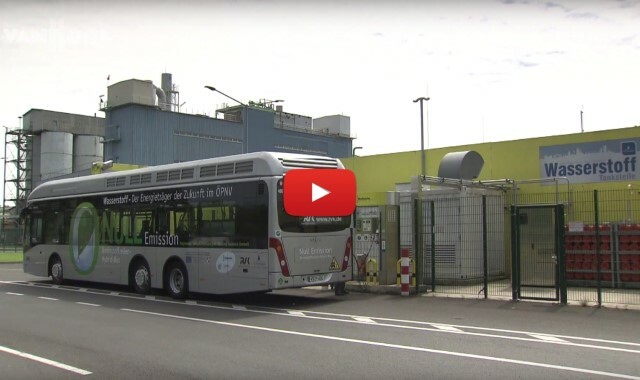 The operator is planing to deploy more emission-free hydrogen powered vehicles in the future. The Band AnnenMayKantereit from Cologne performed its song “21, 22, 23” inside the Phileas fuel cell bus from public transport operator RVK, as part of its tour “Wanderzirkus”.